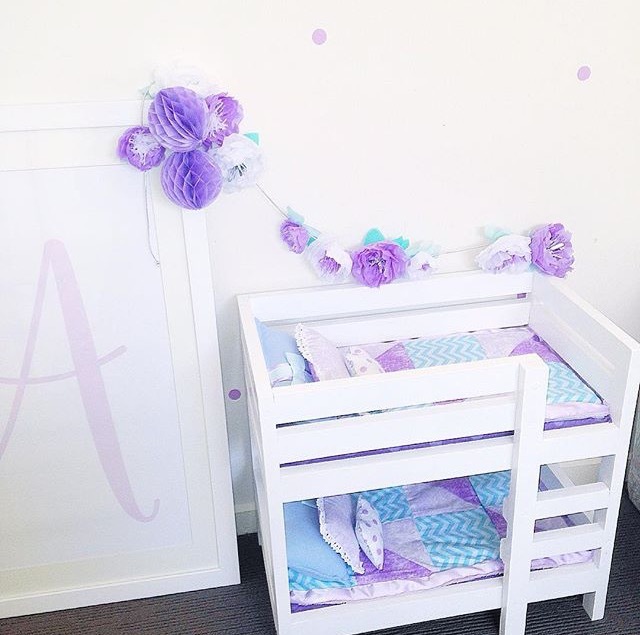 Handmade solid pine timber doll’s bunk bed with super cute one-of-kind linen set, made to suit your ideas, colours and theme. 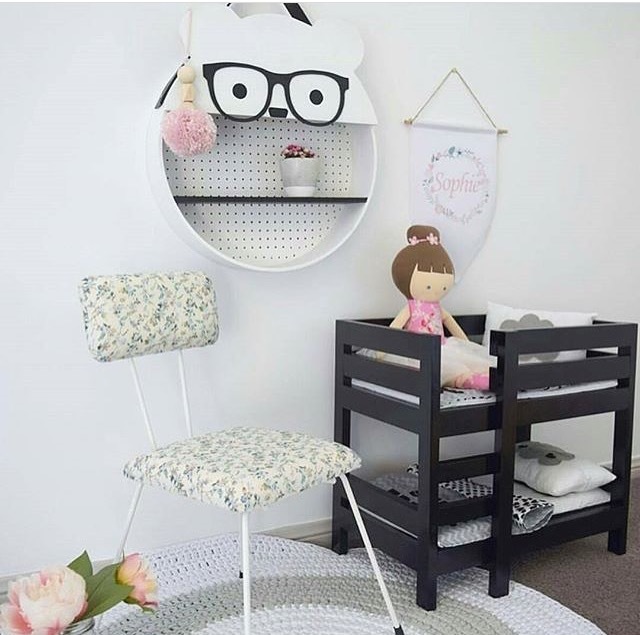 Handmade solid pine timber doll’s bunk bed with super cute one-of-kind linen set, made to suit your ideas, colours and theme. Bunks measure approx. 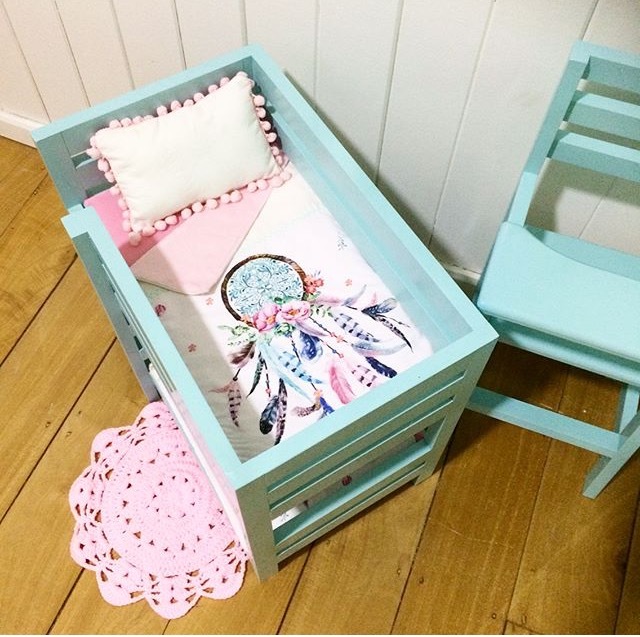 54.5cm long, 31.5cm wide, 45cm high; and the mattress base is 26 cm x 50cm (These will fit up to and including a 19inch doll). The price of $199 includes a white set of timber bunks. If you’d like your bunk set painted in a different colour, please choose the colour option you’d like for a slightly additional cost. Previous sets have been grey, black, pink, and a pretty turquoise blue. Please send me a message via the ‘Contact’ page OR email me at carly@littlemackie.com.au to discuss any special requests or custom orders. I love working with customers to create something special. Please let me know when you need your bunks for and allow a minimum of 4 weeks for your set to be put together and shipped. Thank you.